The Stars of the DMV! For about 1% of the fabled top 1% rich people of planet Earth, art is often bought as an “investment.” I sometimes feel sorry about those people, because the rest of the planet buys artwork simply because they like it, and it will give them nothing but visual pleasure! The greater DC area, once coined by me as the DMV many years ago for DC-MD-VA (yes… I invented that term), is one of the planet’s greatest concentration of talented artists, and this week just for fun, I’d like to highlight some of my favorites, while at the same time encouraging all of you to take advantage of the opportunities to see artwork, and then buy artwork to have in your home. And if you’ve ever purchased “wall décor” at a furniture store, please call me for counseling and to remove those things on your wall for you. Before I start, here are some suggestions for where to see art: Torpedo Factory, Greater Reston Arts Center, Gallery B in Bethesda, DC Arts Center, Artomatic, Lorton Workhouse, Northern Virginia Fine Arts Festival, Bethesda Fine Arts Festival, Exposed DC Photography Show, Bethesda Row Fine Arts Show, and the multiple many artist studio areas concentrated in areas such as Capitol Hill Artists Workshop, Artists & Makers Studios in Rockville, Mid City Artists, plus the many independently owned commercial fine art galleries such as Longview, Adah Rose, and artists’ cooperative galleries in the region such as Touchstone, Artists’ Undertaking, etc. There is no lack of wall space and artists in the DMV. Because I participate in fine art fairs all over the planet, I’ve been able to see the work of tens of thousands of artists over the years, and those numbers are refreshed each year by thousands of artists – as an example, when I head South to Miami for the Art Basel week of art fairs there, with around 26 different art fairs and several thousand galleries involved, the “universe of artists” expands significantly! Let me start with Tanya Davis, who has a studio at the Torpedo Factory in Alexandria, and for decades has been one of the Factory’s top artists. 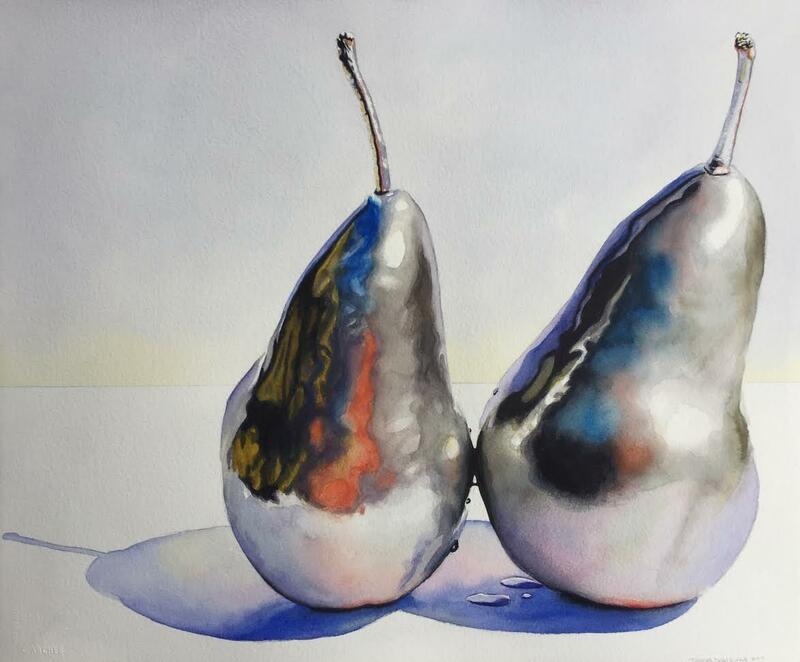 Davis’ mastery of watercolor still life – a widely-practiced subject matter if any – stands her singularly alone in a niche where metallic reflections, china splendor and glass translucency become “aha” moments of awe about a master at work at the hardest of mediums. See her watercolors online at http://www.tanyadaviswatercolors.com. Another still life master with a totally unique approach to almost the same set of imagery is the amazing Chris Krupinski. What her enviable painting skills deliver are not just wondrous fruits and elaborate tablecloths, but the powerful visual achievement of a master painter fully in command of her media. See her work at http://www.chriskrupinski.com. If there are hyper-realist painters in the world who are better than these two at their subject matter, then I’ve never come across their work. Want sculpture? 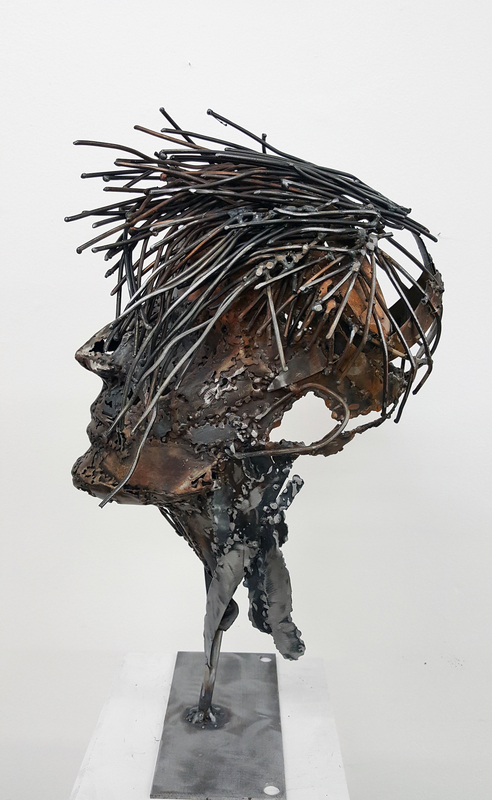 Check out Alma Selimovic at http://www.almaselimovic.com – what this young Croatian-born DMV artist can do with metal is not only refreshing, but also adds a complicated modern nuance to traditional forms of figurative sculpture that I find refreshing. 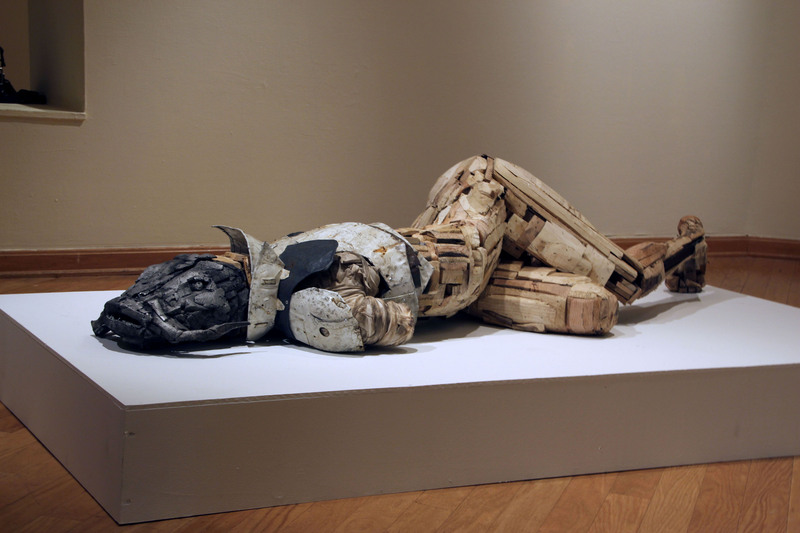 While we’re looking at sculptors working recognizable forms using metal, also check out Adam Bradley (faculty at George Mason University), who has been working with found objects ever since he was a young art student decades ago! Bradley is one of the original “green artists”, even before that term was coined! His work is one of those visual offerings that could never be considered anachronistic – they belong here right now, and would look contemporary two centuries from now. If you’re confused by this, check him out at http://www.adambradleyart.com. In fact, in the DMV we have a gallery just dedicated to printmakers – The aptly named Washington Printmakers Gallery! Ellen Cornett is easily one of my top favorites – I’ve picked her work several times for my Top 10 Artomatic artists, and her mastery of the printmaking processes is breath taking. See her work online at http://www.ellencornett.com. Also in that favorite list of artists who not only paint, but also push some of the new digital boundaries of printmaking is Ric Garcia (ricgarciastudio.com) who is single-handedly inventing a whole new genre of Latino-focused artwork. Like photography? I do, and I almost feel bad just picking a couple of great practitioners of this great genre of the visual arts, so I’ve decided that I should do this type of column at least once a year – but to close this one, let me put forth that we are also surrounded by a lot of great photographers and one place to find made of them is at Multiple Exposures Gallery (in the Torpedo Factory) or at Factory Photoworks. One of my favorite DMV area photographs is someone whose work many of us see on a nearly daily basis: The Washington City Paper’s own Darrow Montgomery – what this wizard can do with his camera, both as a portrait or street photographer or whatever the job assignment calls for, what always comes out is art! Since you include Maryland you should come north and check out the Delaplaine Visual Arts Center here in Frederick, my new home. They have awsome shows.